A college degree has long been viewed as the ticket to a good job and social mobility, but many recent college graduates are finding that their investments in education are not paying off. It is true that young people with a bachelor’s degree are more likely to find a job than their less-educated peers, but recent graduates today suffer from high unemployment rates, declining wages, lower-quality jobs, and few opportunities for advancement. 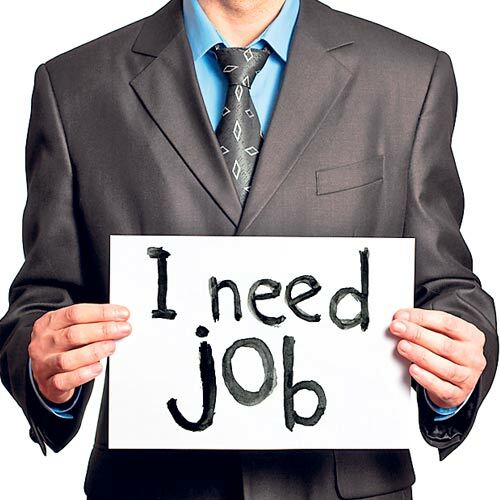 Unemployment is a situation of not getting the work and wages with eligible conditions. People are getting education but not getting the jobs is educated unemployment. Unemployment is the most dangerous problem of each and every developing countries now a days. The root causes of the educated unemployment is to be analysed in detail, but we can say a major factor being ‘The government’s policies to downsize employees’. In this article we will see what the main causes of educated unemployment are and what the remedies are. Economic conditions are the main factor in unemployment. Once a company fails to pay its employees then there is no choice for the employees, they have to leave job. With no reason to continue paying them, they lose their jobs as the job simply disappears. Due to weak economic conditions company become unable to pay its employees. This was the status at times of the great Economic recession in developed countries too. India in spite being a developing country with its GDP growth have got a respectful economic stability status at the time of recession. But in most of the developing countries the economic condition plays a significant role in employment. Educated youth need employability and wage package that meets the skill they possess, but due to weak economic conditions there is no such opportunities or packages. Here the Government policies have great effect, it is to be polished in a way to utilise the full manpower the country has. Employers are struggling hard to attract them with huge pay-packages that is increasing their production cost significantly. The employers are losing their competitive edge in global markets. Global slowdown only adds to the crisis. Corporations are now facing dual problem. India economy mainly based on Agriculture, but at recent times there is significant boom in the IT and industrial growth. There are large number of employment opportunities in IT and industrial sectors. Despite large numbers of educated young, there is shortage of skilled manpower. There are unemployed youths and the companies are facing shortage of manpower. Why these educated youths not absorbed by the new job sectors, as per the surveys and studies, they are mainly lacking three types of skills required to be placed in these jobs. 60% candidates are screened due to lack of communication skills, 25% percent are screened for analytical skills and 5% percent for their lack of knowledge in their respective domain. Hence 90% of educated youth force are lacking in one of these three main skills required for job and employment. Only 10% of educated youth of India is employable. The problem lies in the education system. Indian education system has a mismatch with the requirements of the industries. Institutes teach whatever they want. They do not teach what industries require. Industries do not require what institutes teach. The syllabus committees have not been interfacing with the industries. Several big industries have to set-up their own in house training program to fight with the problem. Most of the newly employed youths are compulsorily undergone employers own training program. This enhances cost of employers enormously. It also wastes time. The growth of new technologies are also be considered for unemployment to certain extend. Today there are machines that can do 10 days of 100 employees work in 1 day with 1 operator, a computer can do documentation works which included 100s of persons work. In some areas technology inclusion is a must for the growth of the economy and at the same time it reduces chances of job opportunities. The technology growth points to job opportunities to certain sector of specially educated people but leaves behind a mass. Uncontrolled population growth and migration of foreign job seekers could also be counted as a cause of unemployment. Overpopulation is defined as a condition where a country’s human population exceeds the carrying capacity of its environment, as the population increases number job seekers increases but the available jobs not proportionally increased, resulting in unemployment. Unemployment is directly proportional to the population. Migration is also a big concern in unemployment. When dealing with migration both in and out of the country to be noted. Migration of qualified skilled professionals from the country seeking better jobs outside, migration of people from neighbouring countries seeking jobs are also boosts the concerns in unemployment. Demand of highly skilled labour. It has been observed that one year of unemployment reduces the life expectancy by five years. Hypertension, cardiac problems, psychoneurosis, depression, suicide are rising among youth as also other behaviours including joining anti-social groups. Alcoholism, drug addiction, smoking, and rash driving behaviours have increased. These behaviours are to take revenge against the society which has made the youth develop low self-esteem due to unemployment or not being able to be a productive member of the society. The suicide rate in the high school going children has been increasing steadily. Unemployment can lead to emotional and mental stress. A person can also get demoralised, he can do wrong things like he can indulge in the habits like alcohol and drug abuse or even may commit suicide. Although young workers are a unique group, their currently high unemployment levels do not require a unique solution. The thing that will bring down the unemployment rate of young workers most quickly and effectively is strong job growth overall. Focusing on policies that will generate demand for one countries goods and services (and therefore demand for workers who provide them)—policies such as fiscal relief to states, substantial additional investment in infrastructure, expanded safety net measures, and direct job creation programs in communities particularly hard-hit by unemployment—is the key to giving young people a fighting chance as they enter the labour market during the aftermath of current situations. After 10 + 2 comes a very crucial period where we almost get puzzled to what stream to go into. This is the time we should sit down and think what will be best for us. We will not find carpenters, shoemakers, tailors or even barbers in this queue of employment searchers. This clearly shows the failure of modern educational system and insolvency of our policy makers. So if we really want to solve the unemployment problem, the educational system must be made job oriented. Now our country does not need only clerks, it is in need of persons who can serve her by their physical and mental skill. The main remedy lies in the rapid industrialization. The need of faster economic growth to generate more jobs. The need of improvements in the education and training provided to the youths with a greater focus on vocational skills and self-employment. The Government support to struggling industries is necessary to try to save jobs. Promoting education especially female education and motivating people to have small families. Skills based education- One of the biggest problems that India faces towards eradicating its unemployment problem is the inter-temporal issue of making a living versus learning a skill. Rather than the traditional 12+4 years method of schooling there needs to be a different stream where skills are taught to those who need them to earn a living. Career guidance helps people to reflect on their ambitions, interests, qualifications and abilities. It helps them to understand the labour market and education systems, and to relate this to what they know about themselves. Comprehensive career guidance tries to teach people to plan and make decisions about work and learning. Career guidance makes information about the lab our market and about educational opportunities more accessible by organizing it, systematizing it, and making it available when and where people need it. If career guidance is both to develop important skills for life and work and to assist with immediate decisions, there are significant implications for schools. They must adopt a learning-centred approach, over and above information and advice approach. This means building career education into the curriculum. The whole INDIA has become saturated by producing doctors, engineers and MBA’s. Now other professions are really climbing the ladder and it is very important for each student to identify his capabilities, his interest before taking up any course. Because, it is better to think before, rather than roaming here and there for getting a job. The employability, however, is a more serious problem and is a major challenge to the entire educational system and the content of the curriculum as well as the emphasis on the theoretical as distinguished from practical applied training. The efforts made by the Indian state and policy-makers in this area need to be reviewed carefully; but it is widely believed that these efforts have been inadequate. Next Next post: Inequality in India: what’s the real story?